Mirandas disbelief turns to fear in a split second when a meteor knocks the moon closer to the earth. How should her family prepare for the future when worldwide tsunamis wipe out the coasts, earthquakes rock the continents, and volcanic ash blocks out the sun? As summer turns to Arctic winter, Miranda, her two brothers, and their mother retreat to the unexpected safe haven of their sunroom, where they subsist on stockpiled food and limited water in the warmth of a wood-burning stove. Told in journal entries, this is the heart-pounding story of Mirandas struggle to hold on to the most important resource of all--hope--in an increasingly desperate and unfamiliar world. Dad called around 11 oclock to let us know. Only Mom had already taken Jonny to his baseball practice and of course Matt isnt home from college yet, so I was alone to get the big news. I had no idea. When did you find out? I asked. Miranda's diary entries record her changing viewpoint as her perspective shifts from self-centered adolescent angst, through anger and petulance, to eventual resignation in this challenging coming-of-age novel that has drawn comparisons to Meg Rosoff's How I Live Now and The Diary of Anne Frank. Recommended for teens aged 13+. (Reviewed by BookBrowse Review Team). ..the plot is plausible and appealing to readers who may not usually explore the genre, especially middle grade females. Grade 6-8. The author provides a glimmer of hope at the end, but readers will still be left stunned and thoughtful. 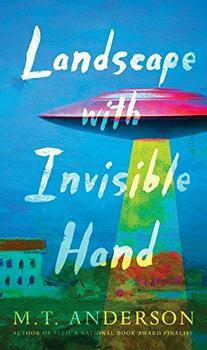 Plausible science fiction with a frighteningly realistic reminder of recent tragedies here and abroad. Starred Review. Each page is filled with events both wearying and terrifying and infused with honest emotions. Pfeffer brings cataclysmic tragedy very close. This novel goes far beyond the expectations of a sci-fi novel, and the reader will not be disappointed in the ending. This book teaches humanity; how we need to be ready, and how people should come together to overcome of any natural disaster.